The April 6 Youth Movement announced its withdrawal from the Revolutionary Youth Coalition (RYC), objecting to interference by coalition members in the movement’s internal affairs. The youth group explained that any internal interference is against the political nature of the revolutionary coalition which supposedly mirrors the visions of the parties and movements involved without any meddling in their affairs. Meanwhile, the RYC denies any interference in the movement’s inner dealings. 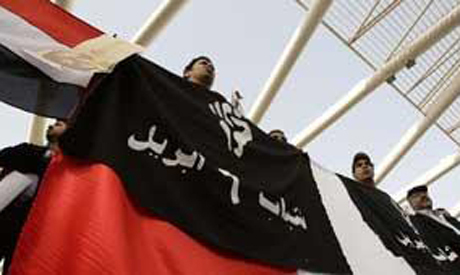 “We respect the problems the April 6 Youth Movement has gone through but we didn’t interfere,” Khaled Abdel Hamid, a political activist and member of the Justice and Freedom Movement, told Ahram Online. Moreover, April 6 considers the withdrawal to be delayed as its members agree that they should have left the coalition soon after the referendum on the constitutional amendments transpired last March. The movement believes that the coalition has failed to rally its members behind a single voice, as the referendum and several calls for protests have proven. Conversely, the RYC thinks it is time for all political forces to unite together with all their differences. “The coalition is doing its best, if we got all our members behind one vision, we would turn into a political party and not a coalition,” Abdel Hamid told Ahram Online. The April 6 Youth Movement is looking to organise a new coalition that would collect all political forces in Egypt under one umbrella and would be capable of participating in the coming parliamentary elections with a unified list. Following the Revolution the Egyptian people will have the government they so richly deserve. Stay united. Stay connected. That is the most important action at this time. We all differ. It is natural but the influence of the differences could be reduced with continued discussion.